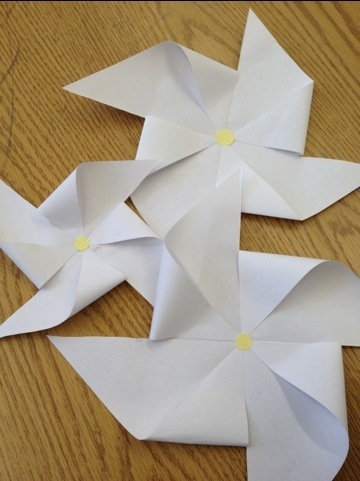 There are decorative pinwheels and pinwheels that really spin. 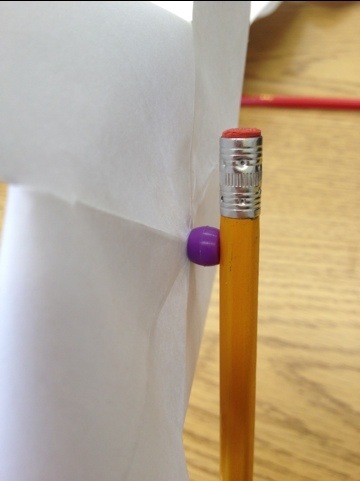 This picture tutorial shows both. 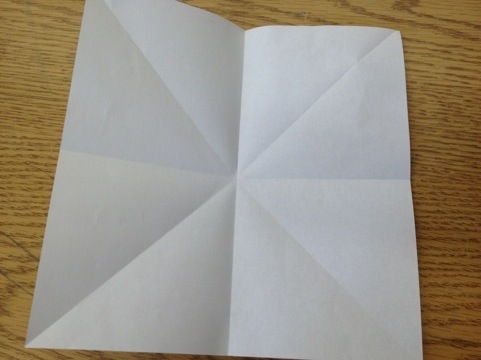 The directions are basically the same until the end. 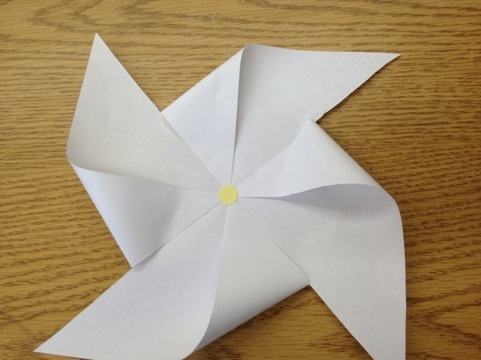 Once your paper is cut and folded into a pinwheel if you want your pinwheel to be purely decorative you can cut a paper circle and glue it to the center. 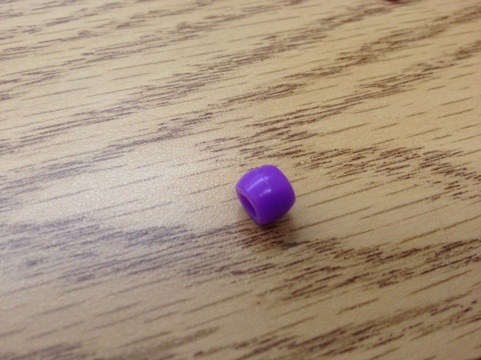 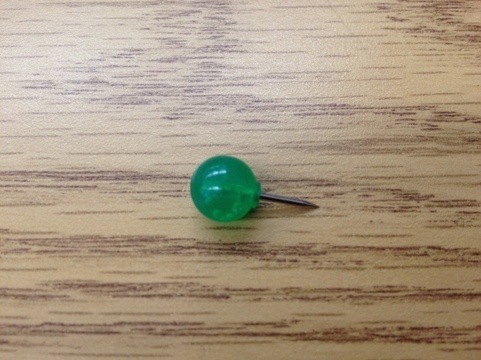 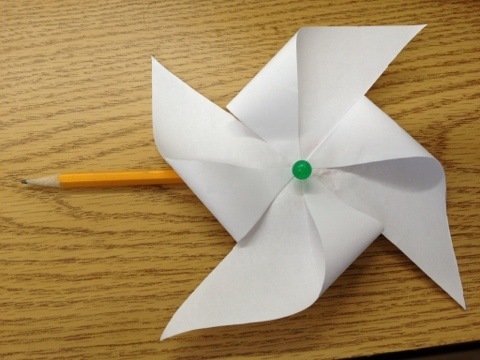 For a pinwheel that spins you can use decorative push pins, a bead, and a wooden dowel or in my case today a pencil. 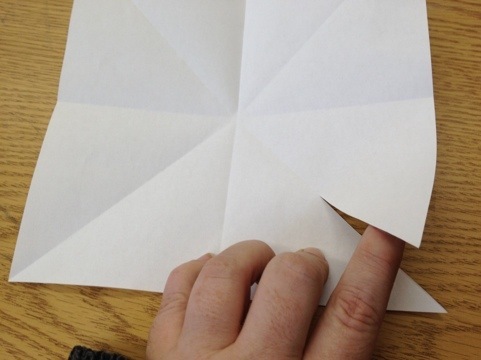 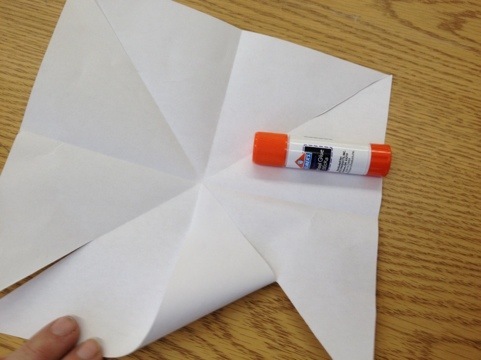 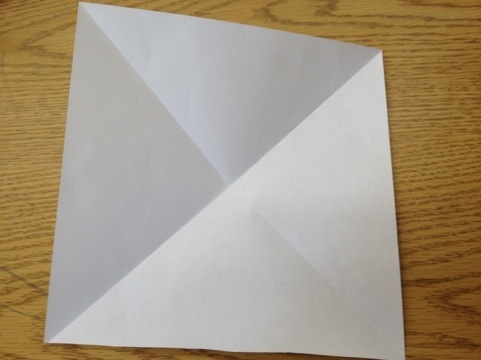 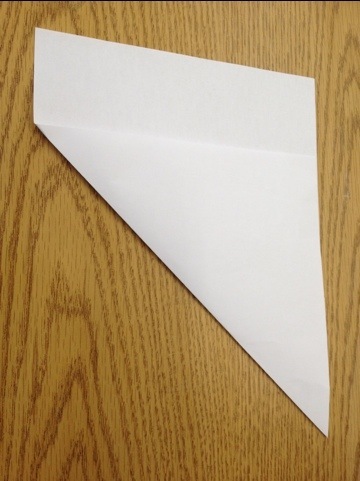 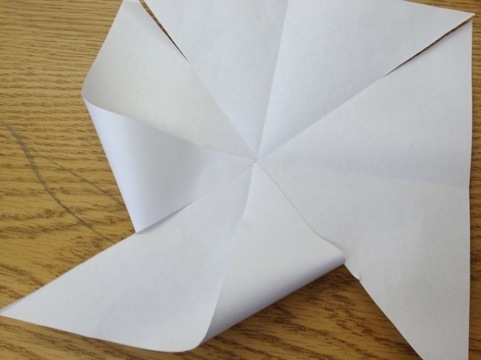 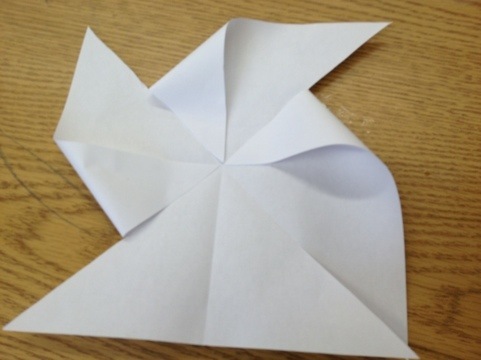 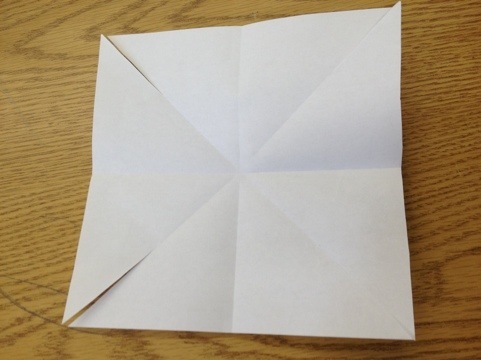 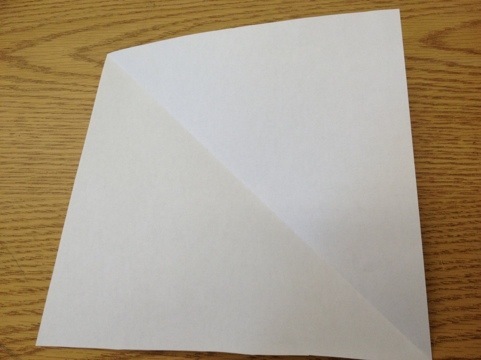 To make a pinwheel you need to start with a square piece of paper.